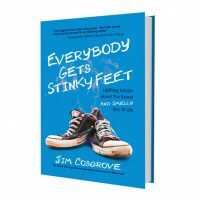 Lace up your sneakers for a delightful romp through inspiring essays for grown-up kids from beloved family entertainer and parenting columnist Jim Cosgrove. Tag along as he cuts the grass of a major league All-Star, bakes bread with nuns, shares a beer with a Muslim cab driver, and interacts with real-life angels. 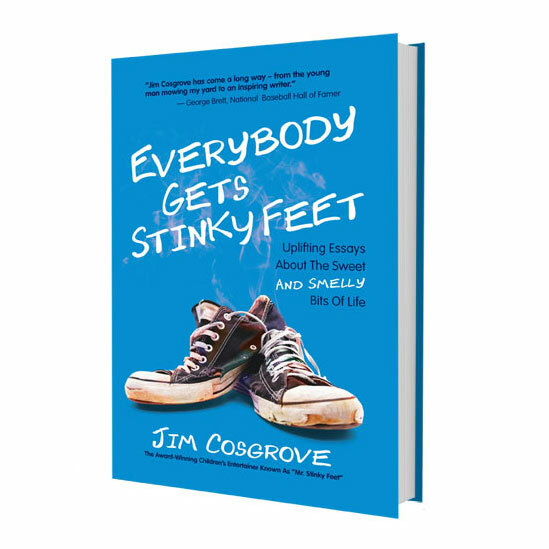 “Everybody Gets Stinky Feet” takes a peek into Cosgrove’s life as the father of daughters who are much more clever than he is and digs deep into his experience as the youngest of eight children in a loud and loving Irish-Catholic family.